We are your top resource for finding a searchable list of all Santander Sort Codes. To find a Santander Sort Code is simple. All you need to do is use our search function to search our list of sort codes to find either a branch location or validate a Santander sort code directly by searching it with our tool below. 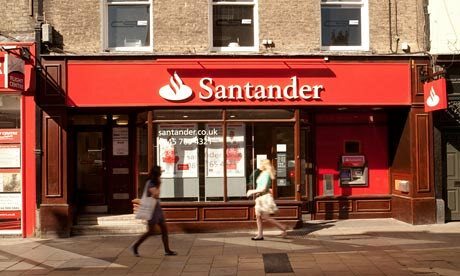 Santander is a well-known high street bank in the UK. Therefore it makes sense that we provide a facility for business owners and the public alike to validate sort codes. Most users of our site are business owners that are looking for peace of mind before transferring sums of money. Mistaking a sort code or instructing payments to the wrong bank can be very difficult to resolve and often can cost the person that made the error, time and money. Using our simple search feature to find Santander sort codes means you can completely avoid making such mistakes in the future. As you probably know, Alliance and Leicester were taken over by Santander in 2003. This means that by searching the list of sort codes for Santander, you can also search for and validate Alliance and Leicester Sort Codes. The same applies to Bradford and Bingley sort codes. Santander also acquired Bradford and Bingley in 2004 so therefore any Bradford and Bingley sort code you wish to validate for retail bank accounts can also be done via this website. You will find the code within the Santander Sort Code list. Again, Abbey National was bought out by Santander nearly 20 years ago. Therefore when searching this sort code list you will also be able to search and validate Abbey National Sort Codes too, as they will be included within the data. All sort code data is also available to download here. This means that in future you can have a soft copy of every Santander sort codes for your reference without even having to search online for a solution again. We try to keep all of the information regarding Santander sort code lists accurate, however we cannot guarantee the accuracy of the information on this site. Please check with Santander before finalising any payments.